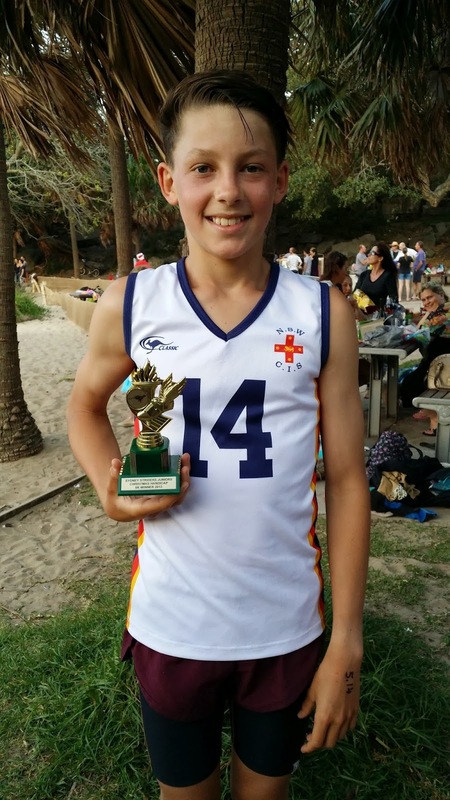 Sydney Striders Juniors: December round up - what a great month for Junior Striders! December round up - what a great month for Junior Striders! 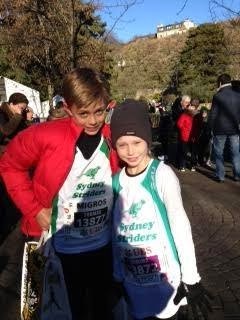 It has been the busiest December on record for Sydney Striders Juniors - very exciting. 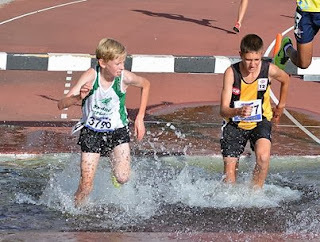 Next up we had Josh Phillips winning Australian All Schools - Nationals - under 16 boys 2K steeplechase, and he is 14. His time was 6:14. Lachlan Cooper, Daniel Francken, Hannah Gibson, Nicola Hogg & Jack Stockeld also made it to Nationals, all caming in the top 8. 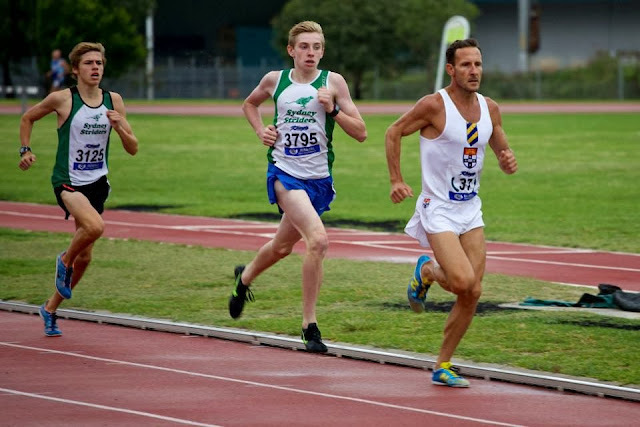 Below we have Lachlan Cooper & Josh Phillips in the ANSW mile race at Wollongong. 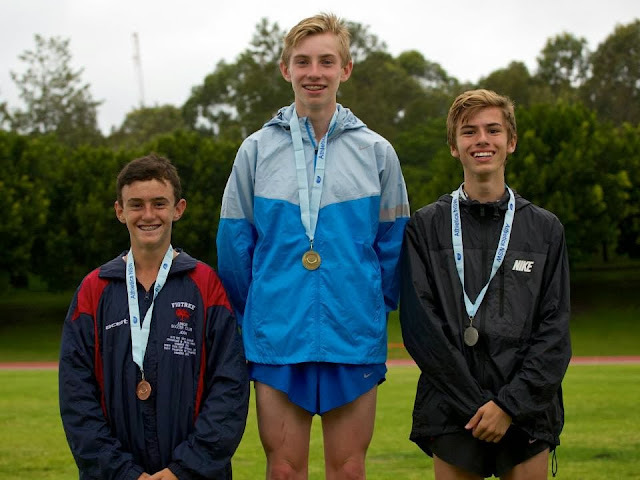 Lachlan won the u16 boys race in 4:30 and set a new state record. Josh was just behind in 4:32. These two are making us proud, and they are only 14. Will they catch the Sydney Uni guy?? Lachlan Cooper leading from Josh Phillips - EJ had one lap to go. Middle is Lachlan Cooper - new state record holder. To the right is Josh Phillips, 2nd and 2 seconds behind Lachlan. Our 10K runners attended the Striders Xmas Brunch to claim their rewards and enjoy the good food, spot prizes and mingling with all the lovely Striders from the rest of the club. 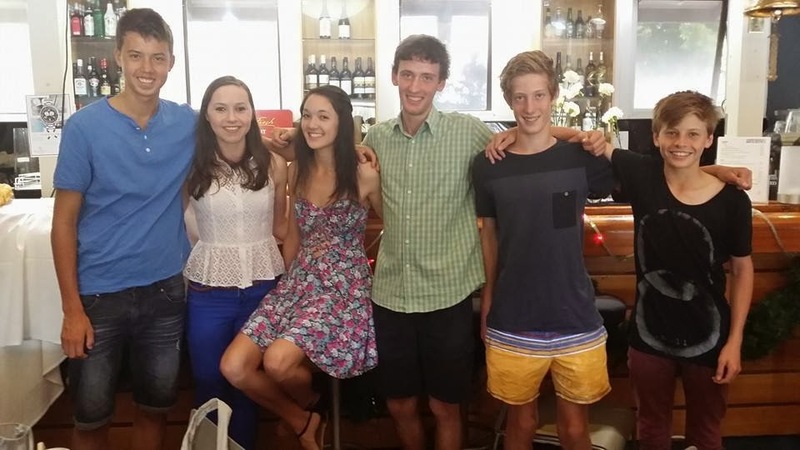 Gus Wong, Emma McGlinn, Hannah Gibson, Davis Gardiner, Angus Webber & Harlan Mulherin. Treloar shields have been very well attended, and there has been a lot of camaraderie. Tessa Constantine usually runs the 400m and 400m hurdles, but she has usually left by the time the 800m, 1500m, 3K and 2K steeplechase runners arrive. Competitors include Adam Halmy, Bethany Halmy, Paul Loader, Ben Jagger, Will Law, Gus Wong, Josh Phillips, Lachlan Cooper, Daniel Cooper, Amelia Gorman, Liam Gorman, Nicola Hogg, Olivia Hogg, Sophie Gocher & Tom Davies. A determined group of parents have been running too. On Thursday 19th Dec. Fraser McKinlay won the VERY windy Xmas 5k handicap in Manly. He improved his PB by 27 seconds to 19.19. David Gardiner set a new course record in 16.39 while Hannah Gibson was the fastest female. An honorable mention for Harlan Mulherin, who was first scratch runner home in a very good time of 18.15. 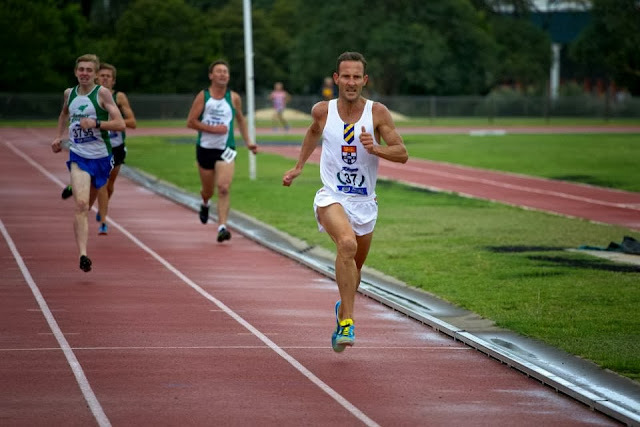 Fraser McKinlay wins the 5K Xmas handicap at Shelly Beach, Manly. Also, some of our runners went off travelling over the holidays and ran races in their Striders tops while there. Tom Davies & Gemima Davies running a race in Geneva.